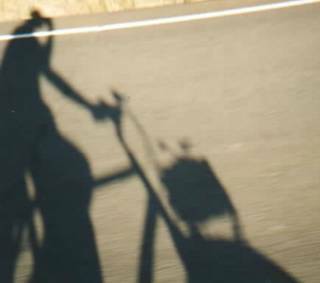 This is the shadow of me riding my bike holding a camera. Friends were just over looking through many of my photos. Someone said, "why don't you put this one on-line?" Picture taken on a road south of Washtucna, Washington in 2001.